For this edition of Dad’s Kitchen, my dad made Mustard-Pepper-Crusted Pork Rack with Rosemary Potatoes. My dad got the recipe from one of those free cookbooks Costco hands out every Christmas. I’m actually not a huge pork fan, but this rack is bomb. You MUST try it. If you cook it just right, you will have a pork so tender and juicy, your knife will cut through like butter. Combine mustard, thyme and pepper; spread evenly over pork roast. Place roast in a shallow roasting pan. 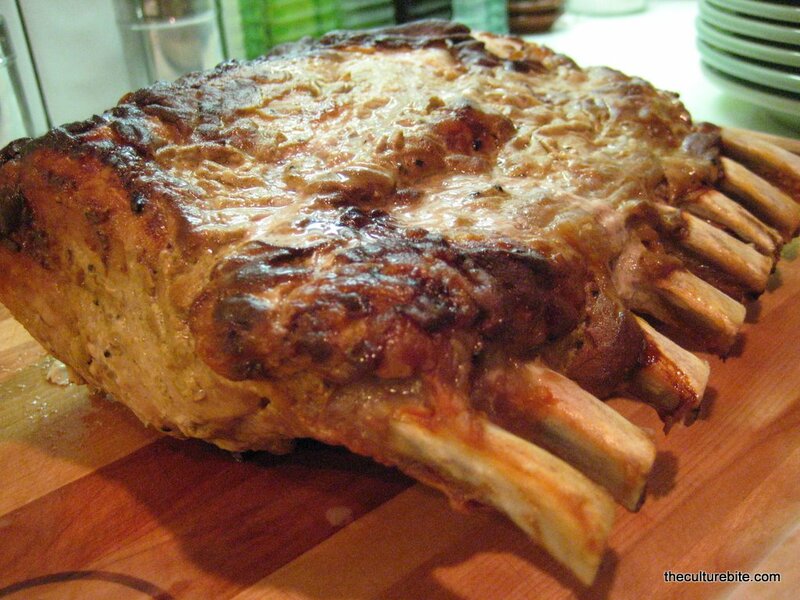 Insert an ovenproof meat thermometer so the tip is centered in the thickest part, not resting in fat. Do not add water or cover. Roast for 2-2 1/4 hours, or until the thermometer registers 155°F, for medium. Remove from the oven and let stand for 15 minutes (temperature will rise to 160°F). Makes 8-10 servings. I’ve invited the family round this xmas for a big dinner, so the roast is pretty important! I found a lot of recipes at this roast recipes site, but cant seem to decide on one in particular – there’s so many to choose from! It’s fun planning such a big christmas dinner though!